Kilnstore is a Thurso based shop selling an eclectic mix of gifts. 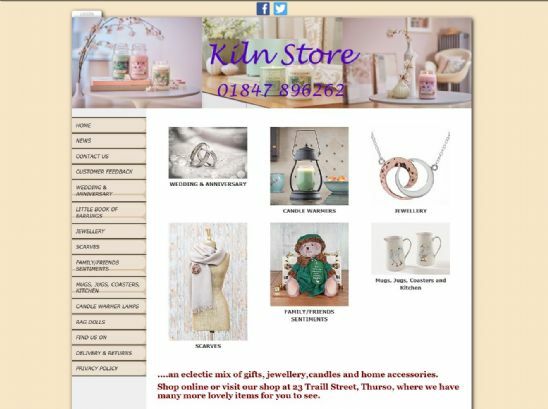 On the site you can browse various sections including wedding items, jewellery, scarves and homewares. As well as the online store, you can also visit their Caithness shop in person. The company has used a .scot domain name paired with a Spanglefish website for their online presence. Head over to their site now to browse their range.